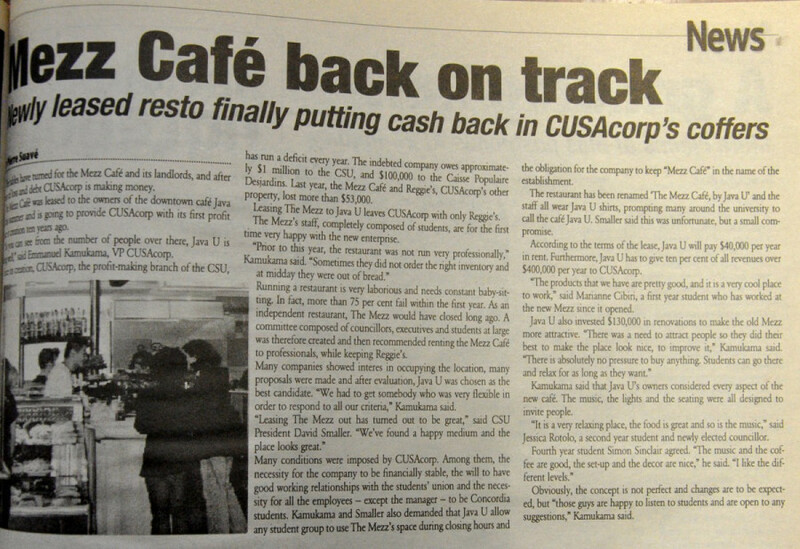 With the Concordia Student Union looking into a putting a co-operative café in the Hall Building mezzanine, we dug into our archives to find out what students had to say when CUSACorp first leased out the Mezz Café to Java U. 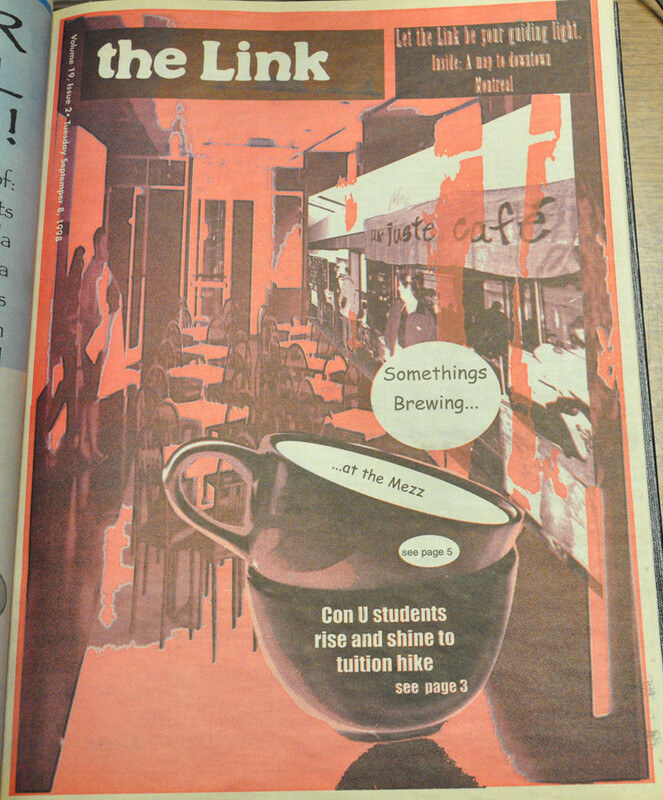 In 1998, the space was leased to Java U for $40,000 a year. 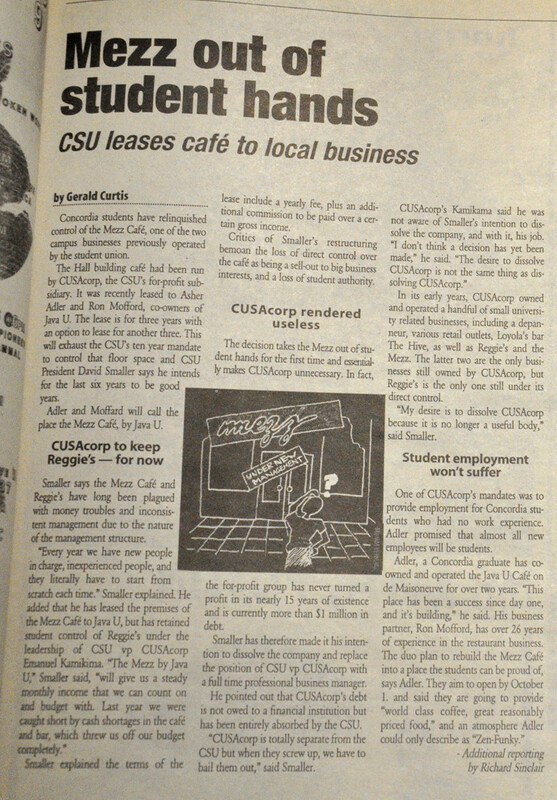 With The Hive bar closing in 1995, this left Reggie’s as the only business managed by the for-profit corporation owned by the CSU. Some criticized the decision made CUSACorp useless, but it did help subsidize Reggie’s, which has a long history of questionable management.